The River Wye meanders down to the forest from its source near its first town in Rhayader, Powys in Wales. 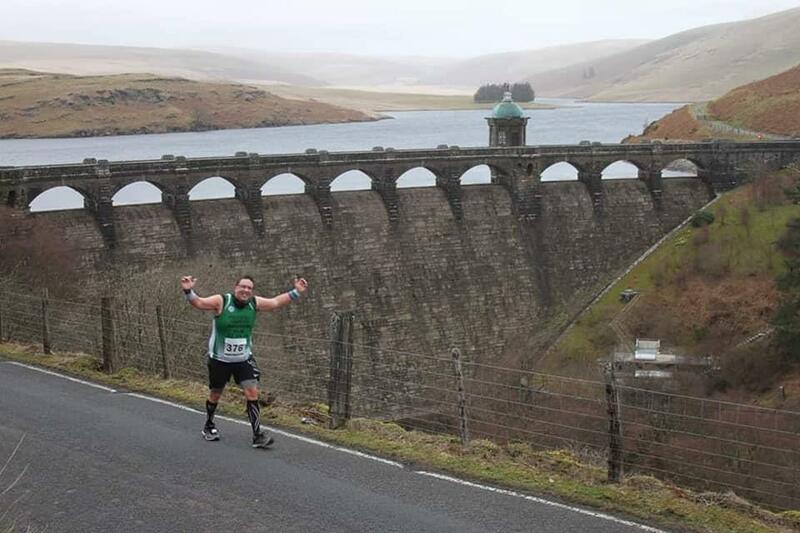 Home to the spectacular dams and reservoirs of the Elan and Claerwen Valley it also hosts a spring race, deemed to be the perfect test for those getting ready for the marathon season. Originally a 20 mile race it has been reshaped and is now 30 kilometers of undulating terrain guaranteed to test any runner. Demanding it may be but it is undoubtedly one of the most scenic races in Britain. Pictured below: Andrew on his way up one of the hills. 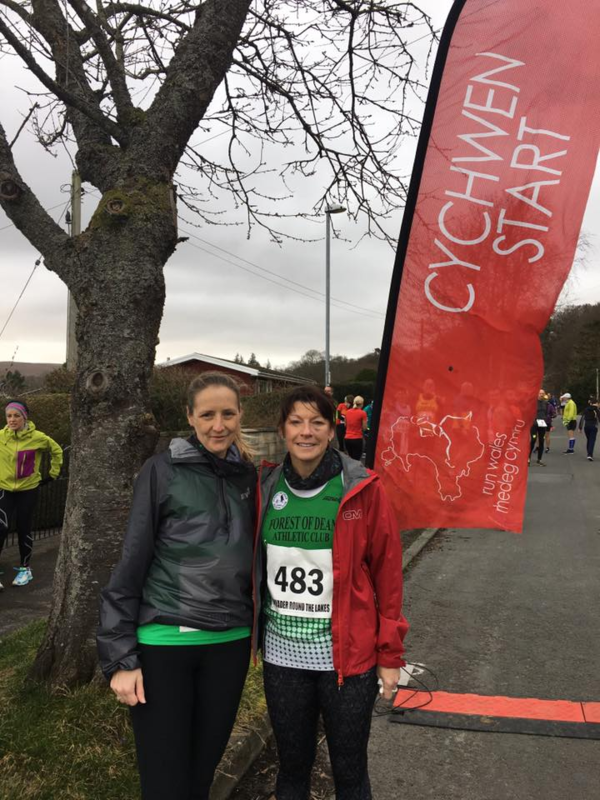 Lisa Adams and Miriam Paris at the start.